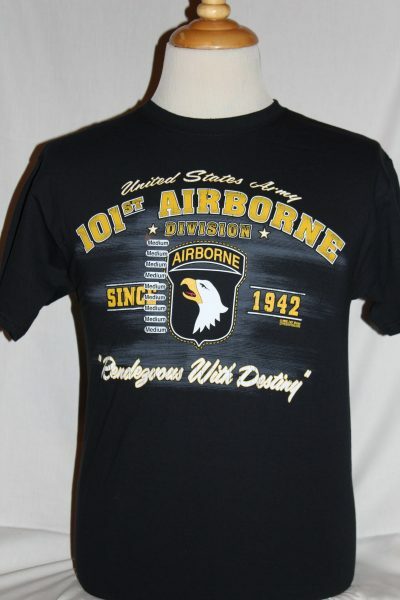 The Rendezvous With Destiny 101st Airborne T-Shirt is a two sided print in black. 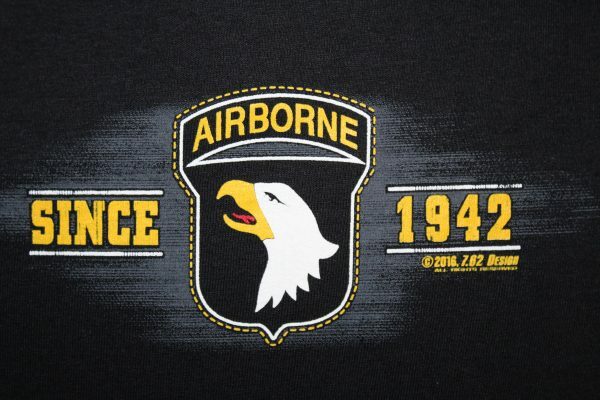 Front Design: US Army's 101st Airborne insignia with text. Back Design: Small insignia on upper back.